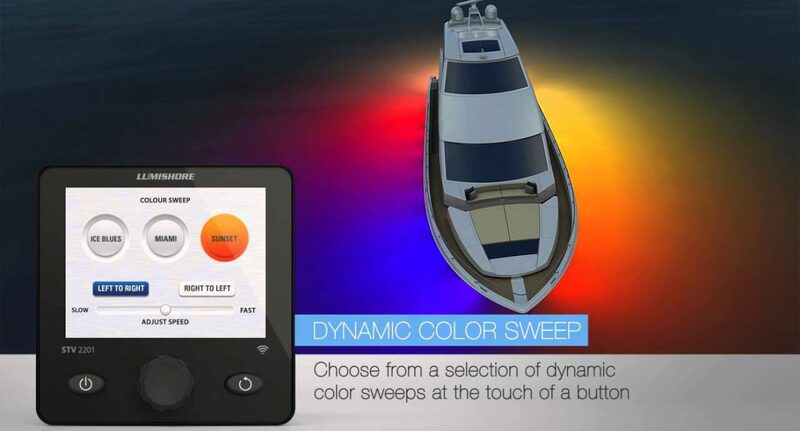 Lumishore is a pioneering company in the yacht industry. They have developed their own technologies in LED underwater lighting. With ten years of experience perfecting quality and affordable underwater lighting, Lumishore were ready to move onto connecting that technology with mobile apps. Passionate about pushing our technical ability to the limit and always looking to learn new and exciting technologies, building an App to link with Lumishore’s EOS controller was an opportunity too good to miss. Working with Tony Xu the engineering director was an amazing privilege to witness Lumishore’s attention to detail and passion for perfection. It drove us at Sobytes to keep working on an app that would match up to the same care and devotion that has been given to all the products that Lumishore creates. The app connects with the EOS colour changing controller through a wifi connection, meaning that customers can now control the quality LED lights from their iPhones or iPads. SoBytes is proud to present its first physical digital app now available on the app store. Go to the Lumishore website now.